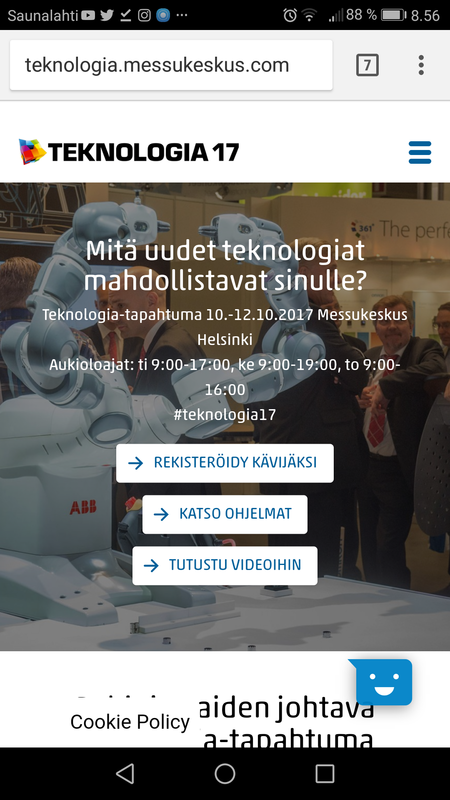 Teknologia 17, 10.-12.10.2017 Messukeskus Helsinki. Huge professional technology fair opens now for three days in Helsinki Finland. It contains electronics components fair Elkom in it. 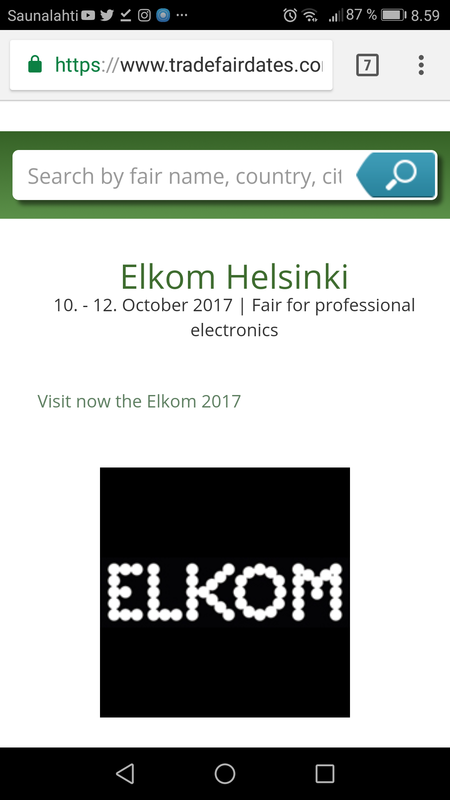 Elkom in Helsinki is one of the leading trade fairs for professional electronicsin the Baltic region. This exhibition is communication and information platform in the industry and offers the exhibiting companies the opportunity to present to an audience of experts here. Teknologia-tapahtuma rakentui useista teollisuuden tuoteosuuksista, joita olivat Automaatio, Elkom, Hydrauliikka & Pneumatiikka, MecaTec, Levytyö, Kunnossapito, Robosteam ja kaksipäiväinen LOGYiSCM.